Cheryl will return to television as a dance captain on BBC One’s new Saturday night show, The Greatest Dancer. The singer last appeared as a judge on ITV’s The X Factor in 2015 and briefly returned to the show last year to help head judge Simon Cowell during the judges’ houses stage. She will be joined by fellow captains Glee star Matthew Morrison and Strictly Come Dancing professional Oti Mabuse. The new talent show, from the makers of The X Factor, will be hosted by former Strictly judge Alesha Dixon and Diversity dancer Jordan Banjo. 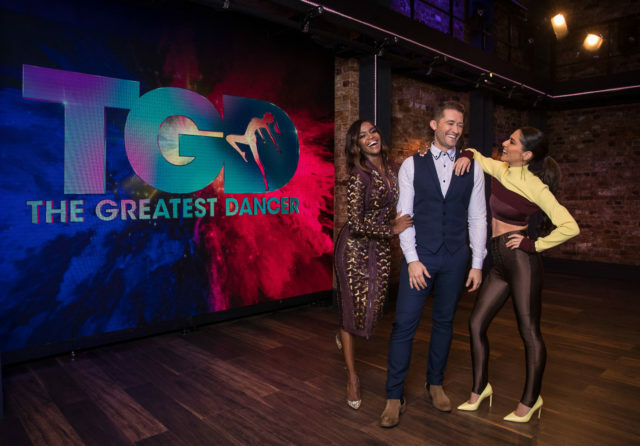 The series is a co-production between creator Syco Entertainment and Thames and will feature a host of talent from across the world of dance from ballet to jazz and hip hop to Bollywood as they give the performances of their lives in the hope of being named The Greatest Dancer. Auditions are taking place in Birmingham at the ICC, with the series due to air in 2019. Cheryl said: “I’m so excited to be part of The Greatest Dancer! “I’m looking for acts with real passion, who are going to push boundaries and give it their all, no matter what challenges are thrown at them. Mabuse, who is an eight-time Latin American champion in South Africa, added: “I’m looking forward to finding a dancer who can elicit emotion from the audience, I know how it feels to be on the other side and to be judged and critiqued for your dance or choreography. Morrison, who found fame in the TV series Glee, is also a successful Broadway performer and recently appeared in Finding Neverland. He said: “This is such a powerful moment for me. It’s wonderful to continue bringing music and dance into people’s lives like we did on Glee. “Dance is a safe haven that allows us to communicate where words cannot. It’s an expression of love and empowerment, driven by all the emotions that make us human. “I love being exposed to people who are pursuing art, and expression, and I look forward to being a moving force for good on their journey. The captains will be tasked with whittling down the acts that get through the audition stage before picking who they want to mentor and take through to the live shows.